Brett Tingay and Fiona Crombie are two New Zealand-representative runners who have inspiring stories. Both are running the New Zealand Sotheby's International Realty Queenstown Half Marathon tomorrow, aiming to defend their 2017 category winner titles. Good luck Fiona and Brett! When well-known Christchurch athlete Fiona Crombie was diagnosed with arthritis in her 20s, she thought she’d never compete again. Frustrated, weak and in horrific pain, she struggled to even walk for a year and a half. That shock diagnosis was 12 years ago. 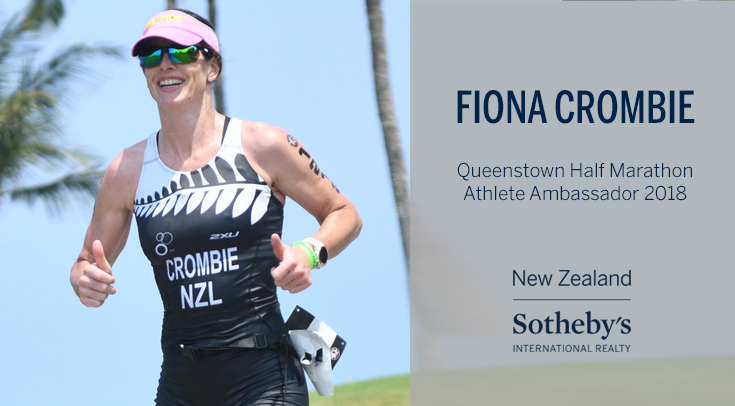 Now, the former New Zealand triathlon representative is as fit and determined as ever as she chases another win at the New Zealand Sotheby’s International Realty Queenstown Half Marathon this week. The 36-year-old won the 30-39 Years category (and was third overall) at the renowned race last year and will return to defend her title, despite continuously managing ankylosing spondylitis (AS) in both of her sacroiliac joints. Crombie’s running career spans well over a decade – she qualified for the 2006 Commonwealth Games NZ Athletics team but was injured a few weeks before the event. Since then, the environmental manager has competed in marathons and triathlons around the world, all while learning how to manage stress and train appropriately to keep AS symptoms at bay. Brett Tingay is running a half marathon tomorrow, despite being struck down by a mystery superbug two years ago. The Christchurch athlete – well-known for his success in running and multisport events – has been battling residual issues from an undiagnosed illness since November 2016. 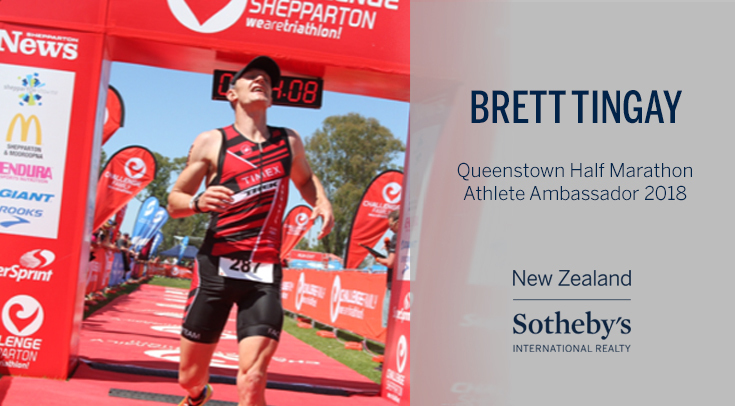 That hasn’t stopped him from competing, however, and he plans to take on the New Zealand Sotheby’s International Realty Half Marathon at the Air NZ Queenstown International Marathon on Saturday. He placed third in the overall race and won his division last year. It’s an immense achievement for a man that lay unconscious in Christchurch Hospital’s Intensive Care Unit exactly two years ago. Tingay was training for a Half Ironman event in Australia when he suddenly became weak with nausea, vertigo and intense migraines. His partner Fiona Crombie took him to hospital, where he remained for two-and-a-half weeks. Despite numerous tests, doctors could only confirm that Tingay had contracted a ‘virus of unknown origin’. After waking up from the coma, he finally started responding to antiviral treatment and began to heal. Although he had doubts he would ever race competitively again, Tingay has learnt to train within his limits and not overextend himself. He lives with the residual symptoms of the virus – such as migraines and fatigue – every day and says his body is less “durable” than it was prior to the infection. Now Tingay’s game plan is to train smarter, not harder. Although he’s hoping to once again win his division, Tingay will be taking it sensibly in Queenstown, where he is also acting as an athlete ambassador for New Zealand Sotheby’s International Realty.